Makeup can make every woman look more beautiful at any age. 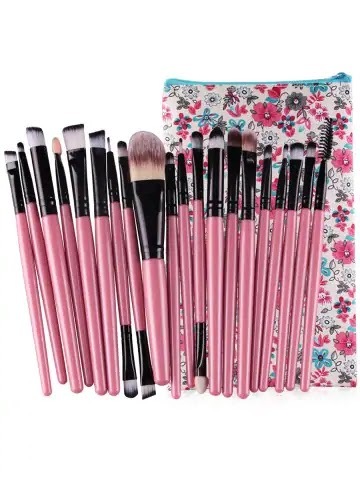 That's why some who loves to wear makeup always bring their cosmetic or makeup bag which they put all together the essential tools they need. When I learned about makeups, it was after college when I bought one for me and sometimes I got a gift from colleagues. I am already working, so I have my own money to buy what I want and what I really need. During college, I only used pressed powder and a lipgloss that I usually bought at Avon which allows me to pay for a month. You know students can't pay in the whole immediately unless I have savings or my mother gave me a lot of money. But that's impossible. My parents just earned so little, enough to provide our daily needs. Learn to enjoy every minute of your life, that's why I thought how precious time to make myself always good in front of other people whether it's at work or with my family. Since then, I have my makeup bag with me. It's just a small pouch where I can keep my cosmetics organized. I can group my belongings according to their categories, color or shape. 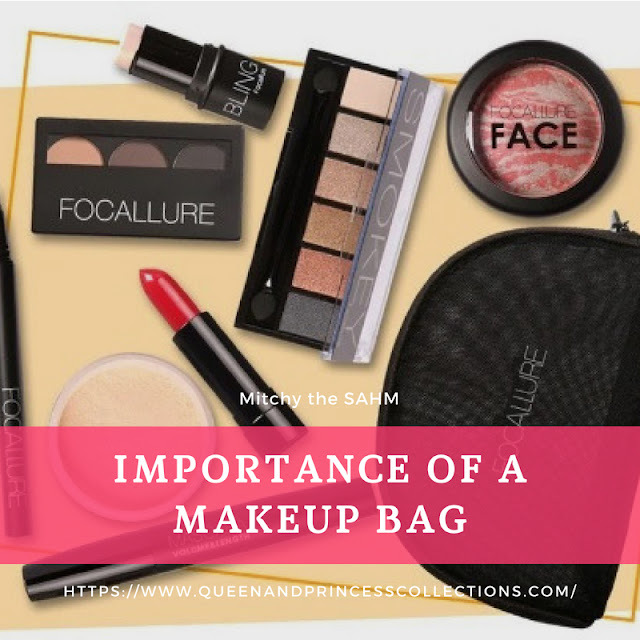 It can be a multipurpose bag which can hold other items like small perfume, lotion and more important things you always bring whenever you go somewhere. It will keep your makeups away from spilling or breaking. When you are in a hurry, you know where to find all your things, not scattered inside your bag. A makeup bag is also called cosmetic bag can be bought here. Not only have many functions but can be personalized, with so many looks and styles to choose from. Rosegal offers thousands of iconic styles to suit every mood, they are confident you will love what they have to offer. 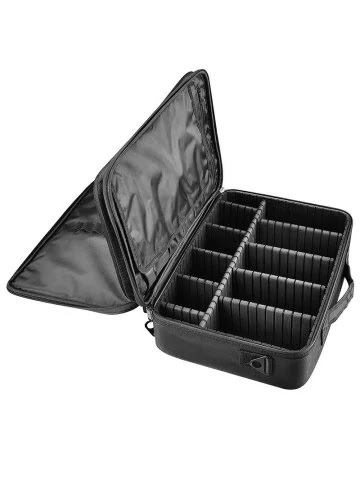 Lightweight, easy to carry, great for storing cosmetic tools or other small things for daily use. With adjustable padded dividers, you can adjust the internal compartments to store any cosmetic products and fashion accessories, etc. Design the dividers on you want and need. 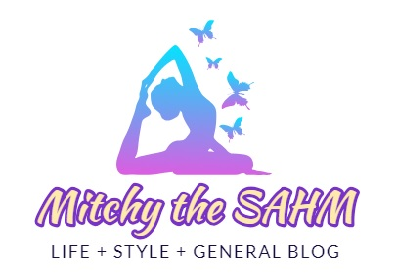 You can easily take it with you and never worry about the weight when traveling around. It will be very convenient when you are on traveling, on business. It is also perfect for normal use and professional use. 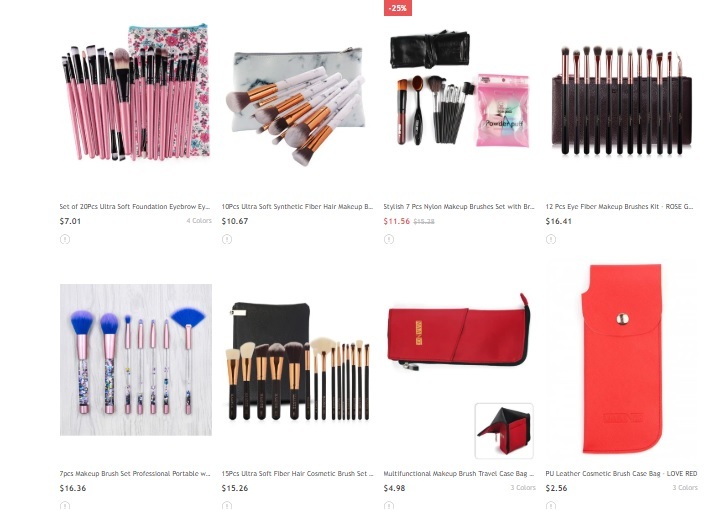 The set of eye makeup brush kit is ideal for all over eye makeup application, effortlessly apply all type of eye makeup such as smoky eye makeup, night out party eye makeup daily causal eye makeup etc. It doesn't matter what brand of makeup you have in your makeup bag, as long as it is in proper places, in order and tidy, you are good to go wherever you want.